According to UBC’s Institute for Early Childhood Education and Research proficient social skills are a key indicator for early school success. 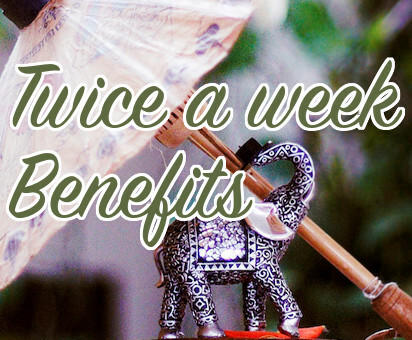 Flexible scheduling lets you access two licensed, educational childcare centres whenever you need, and when children attend twice a week, it’s a social time, where their nice-to-meet-you skills are called for again and again. So how can Buddings be the social development resource at your fingertips? 1. Do you have space in your home to support a rotating cycle of up to 16 friends every week? The first step to supporting developing social skills is providing safe opportunities for engagement over time. Buddings Kids connect and reconnect with dozens of friends, and our 1:4 ratio for teachers is the lowest you’ll find. <– And it looks like there’s an extra mat there! 2. How often does your child gravitate towards older kids? What can they learn from littler kids? Buddings offers care for children 18mo. to kindergarten. We create accessible learning experiences where everyone participates as much as they can. Older kids are the best teachers, and little kids will always look up to them, but having younger kids around is just as important! Whenever children are encouraged to help, and work together, the successful outcomes are doubly positive. Each child can take pride in their friends’ success, as well as in their own accomplishments. That’s what makes it social! 3. Does your child take to new things right away? Trying new things can be intimidating, and while some kids are always keen to jump right in, most of our buddies get more and more interested when topics are repeated, and projects develop over time. Consistent routines help them know what will happen next, and lets them grow confidence at their own pace. When kids come regularly, they get to see their ideas develop, and even when schedules are flexible, our cohesive program is designed to welcome and incorporate everyone into the group. There’s lots going on at Buddings this season! Check out the Programs section to see what the kids and teachers are getting up to!